promote the production of bioactive compounds that are difﬁcult or impossible to synthesize using chemical methods. The second keynote speaker, Lars K. Nielsen presented “Metabolic and regulatory models for synthetic biology design”. He reviewed the status of rational in-silico strain design, providing a cost effective way of constructing metabolic pathways for making biocompounds. The last keynote speaker Sven Panke provided promises and ambition on technical advances as well as on a conceptual rethinking of how we design biocatalysts. He illustrated principles of designing biocatalysts with examples from his own work on nanoand pico-liter reactor design for screening purposes, on real-time mass spectrometry for pathway analysis and optimization, and protein switching for orthogonal in vitro pathways. Yu-Sin Jang (KAIST, Korea) reported that the direct butanol-forming pathway is a better channel for optimization of butanol production. An interesting topic was shared by Akio Kawahara-Kobayash (Tokyo Institute of Technology, Japan). 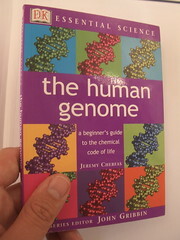 At earlier stages in the evolution of the universal genetic code, fewer than 20 amino acids were considered for use. They made artiﬁcial genetic codes involving a reduced alphabet to provide not only new insights into primordial genetic codes, but also an essential protein engineering tool for the assessment of the early stages of protein evolution and for the improvement of pharmaceuticals. To meet the demands of industrial production, microbes should maintain a maximized and ﬁxed carbon ﬂux towards target metabolites regardless of ﬂuctuations in intracellular or extracellular environments.